History has not been kind to pop singers caught lip synching such as Milli-Vanilli and Ashlee Simpson. So last week, Beyoncé was eager to put out the media firestorm that had erupted when it became known that she lip-synched the national anthem at President Obama‘s inauguration. After instructing the attending journalists to stand up, she quickly launched into an a capella rendition of “The Star-Spangled Banner” during a press conference that was set up for her to answer questions about her Superbowl performance. The move effectively silenced her critics. At least, temporarily. On his morning radio show, former NFL star Boomer Esiason said her performance may be to blame for a power outage that halted the second half of the game for over 35 minutes. He said that he heard from an inside source that the power went out twice during rehearsals for her show. And PETA criticized the singer’s outfit which was made of a combination of leather, iguana and python skin. Beyoncé hasn’t responded to either accusation, but she can always exercise her freedom of speech as a celebrity by staging a press conference to set the record the straight. As the following examples illustrate, she wouldn’t the only one to do so. 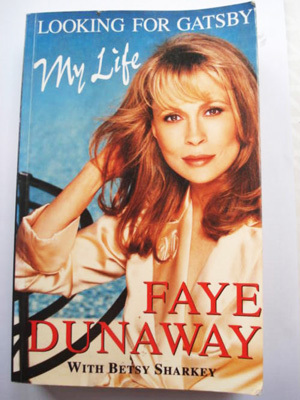 January 12, 1995 – For Immediate Release: A private settlement was reached today in the dispute between Faye Dunaway and Andrew Lloyd Webber and The Really Useful Company over her dismissal on June 22nd from the starring role in the Los Angeles production of Sunset Boulevard. The agreement stipulates that its terms will remain confidential. The terms of this settlement prevent me from any further comment on this matter. Embedding was disabled for a YouTube video of Dunaway’s 1994 press conference. To view the highly entertaining clip click here. 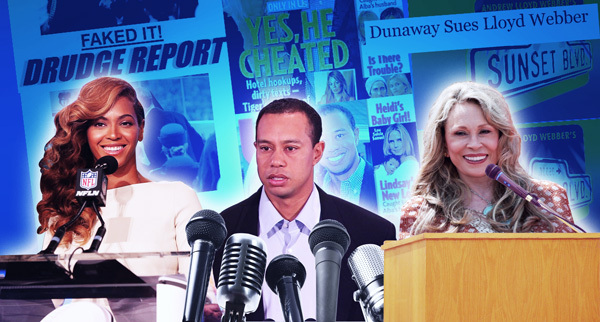 Tiger Woods scandal free career as the top golfer in the world ended with a crash in November 2009. After fighting with his wife Elin Nordgren, he fled their Florida mansion at 2:45 in the morning and shortly after crashed into a nearby fire hydrant. The botched getaway came to a dramatic conclusion when his wife came to help him from the car and smashed one of the car’s windows with a golf club to rescue Woods, who was then rushed to the hospital. 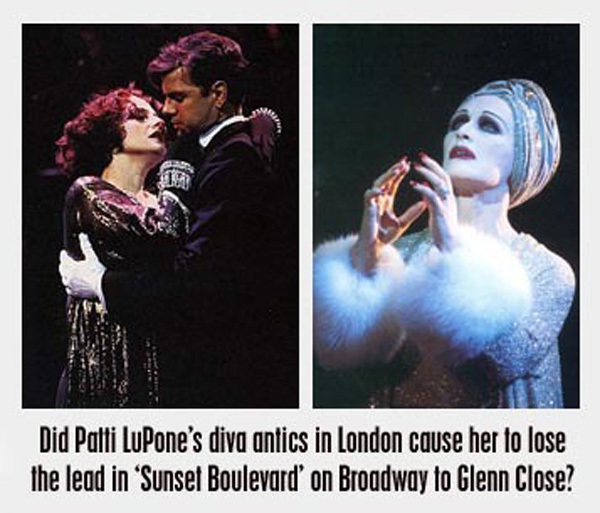 The story provided fuel for newspaper headlines, tabloids and gossip blogs for months. 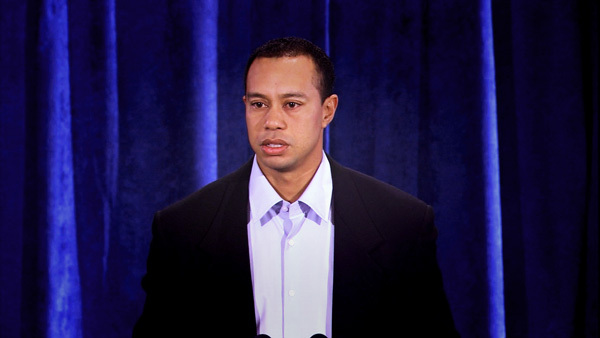 Woods, however stayed out the limelight and avoided talking about his indiscretions until February 2010 when he held a tearful press conference. Whether the tears he shed were those of regret that he had betrayed his wife or fear that he would lose some of his many of multi-million dollar endrorsement deals is hard to say.